UPDATE: We hit one billion bids on March 7, 2014. Congrats Marcia O. for winning a brand new iPad Mini! We’re coming up on a huge milestone here at QuiBids. Pretty soon, there will have been 1,000,000,000 bids placed on our site (that’s one billion with a B — cue Doctor Evil’s laugh). We wanted to celebrate with sharks with lazer beams on their heads, but since management couldn’t approve that, we went for the next best thing: an iPad Mini giveaway! If you’re lucky enough to place bid number one billion on our site, then you’ll be the owner of a brand new iPad Mini! Continue reading for more details. When will the one billionth bid placement occur? The amount of bids placed on our site is completely determined by you, the bidders. So to answer the question, we cannot tell for sure exactly when we’ll hit a billion. It could happen anytime over the next few days to few weeks. How can I increase my chances of placing the billionth bid? The best way to increase your chances of winning is to bid, bid, and bid some more. You can try to better time your bids by monitoring the current bid totals via the app on our Facebook page, which will be periodically refreshed with the current total number of bids placed. How much, exactly, is one billion? The number 1,000,000,000 is big. So big, that it can be hard to really grasp the enormity of this number. 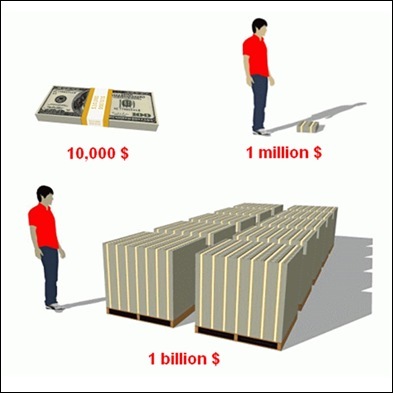 Below we found some facts to better help you visualize how big one billion actually is. A billion days ago, no-one walked on earth on two feet. A billion dollars ago, was only 8 hours and 20 minutes at the current rate of government spending. It takes 95.1 years to count from one to one billion. One billion steps will take you around the equator 15.278 times. One billion sheets of paper would stack up to be as tall as an 8-story building. Get started with a Free Bids Coupon Code! Even if you don’t win the iPad Mini, you can still celebrate with free bids! Use promo code QUIBILLION by 3-15-2014 at 11:59 pm CST to get started. Go here to learn how to redeem a Promo Code. We hope this will be one of many milestones you’ll get to experience with us. What was your favorite Q memory over the past billion bids? Tell us in the comments or tell us on Twitter using the hashtag #QuiBillion and you could win a Free Gameplay! Never miss another free bids promo code!